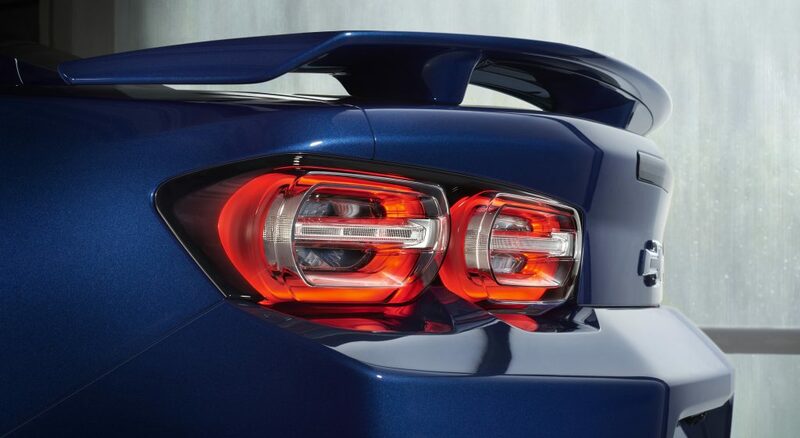 2019 Camaro’s new LED taillamps with a more sculptured evolution of Chevrolet’s signature dual-element design. 2019 Camaro features new LED taillamps with a more sculptured evolution of Chevrolet’s signature dual-element design. 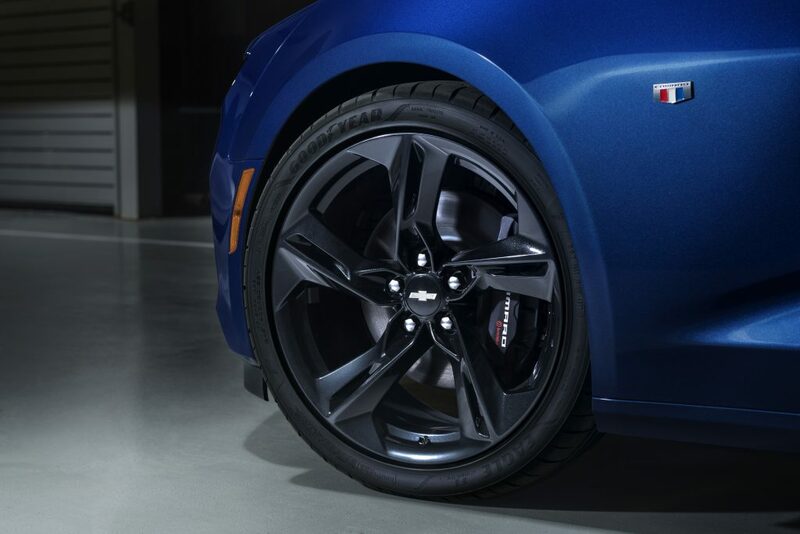 2019 Camaro SS offers new, available 20-inch wheel designs. 2019 Camaro SS front fascia features a “flowtie” open bowtie grille emblem and aero-enhancing air curtains, plus specific headlamps with new LED signature and extractor-style hood. 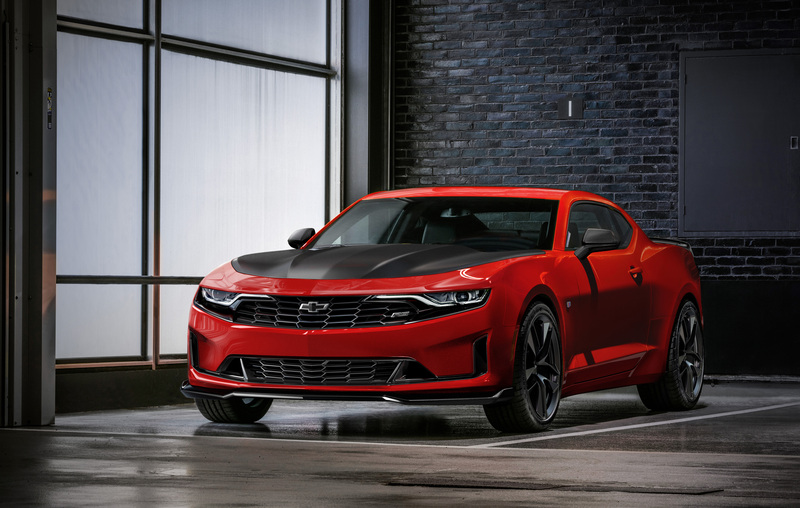 2019 Camaro RS’ new front-end styling, including the fascia, grille, LED dual-element headlamps and reshaped hood, distinguishes it from LS/LT and SS. 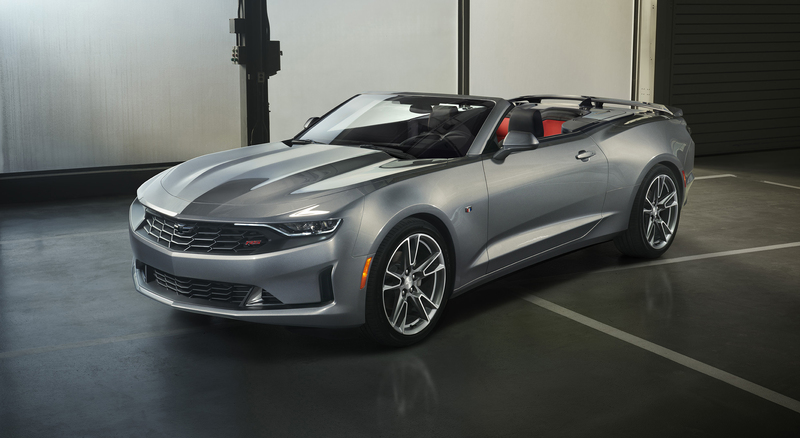 2019 Camaro line features new front-end styling with distinct differences between LS/LT, RS and SS, including the fascia, grille, LED dual-element headlamps and reshaped hood.